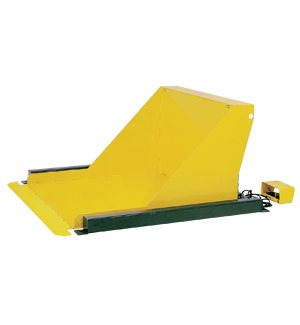 Low profile container tilters with a pan style platform accommodates any type of container. Because the unit is essentially flush to the floor when in the lowered position, this tilter can be easily loaded with hand carts, hand pallet trucks and fork lifts. The max tilt angle for this unit is 85 degrees.